| VERDIN strives to be at the forefront when it comes to getting information that will benefit our clients. Whenever possible, we invest in professional development training and mentoring programs as part of our ongoing professional growth. Our goal is to stay competitive with skills and expertise acquired. At the same time, acquiring new knowledge and giving best value to clients is our ongoing mission. On November 02, 2017, AILA’s DOS Liaison Committee arranged a tour and question-and-answer session with the National Visa Center (NVC) located in Portsmouth, New Hampshire. This event was limited to 35 AILA members from all the United States; two of which were paralegals. One of the paralegals selected was Cecilia Solis from VERDIN Law. Cecilia was the only person from Texas at this tour. She was able to visit the National Visa Center building; as well as the U.S Department of State Consular Affairs Buildings. During this tour, the National Visa Center staff briefed AILA members on NVC’s responsibilities and processes, provided updates on recent upcoming procedural changes, and provided useful tips. Click here to see the questions solicited by AILA – and the responses provided by National Visa Center. We are so proud of the opportunity Cecilia had – and the information she brought back to VERDIN! After U.S. 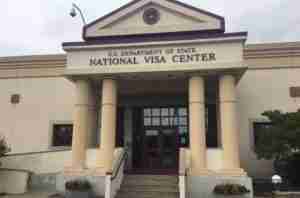 Citizenship and Immigration Services (USCIS) approves immigrant visa petitions, the USCIS forwards your petition to the National Visa Center (NVC) in Portsmouth, NH for immigrant visa pre-processing. Having a U.S. visa allows you to travel to a port of entry, airport or land border crossing, and request permission of the Department of Homeland Security (DHS), Customs and Border Protection (CBP) inspector to enter the United States. While having a visa does not guarantee entry to the United States, it does indicate a consular officer at a U.S. Embassy or Consulate abroad has determined you are eligible to seek entry for that specific purpose. DHS/CBP inspectors, guardians of the nation’s borders, are responsible for admission of travelers to the United States, for a specified status and period of time. DHS also has responsibility for immigration matters while you are present in the United States. 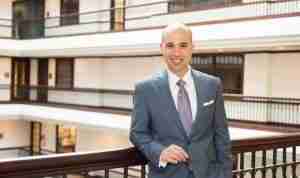 Nonimmigrant visas – For travel to the United States on a temporary basis. 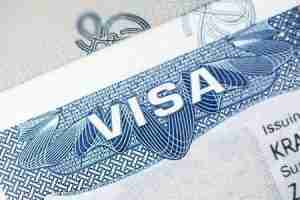 Immigrant visas – For travel to live permanently in the United States.